Super Smash Bros Ultimate brings the long-running fighting game franchise to Nintendo Switch. There are more fighters than ever before, with 74 included at launch. There are yet more to be added via DLC, making this the most content-packed entry so far. To help you get to grips with all of the new fighters, and to get you reacquainted with the returning ones, we’ve been busy putting together character guides for each. 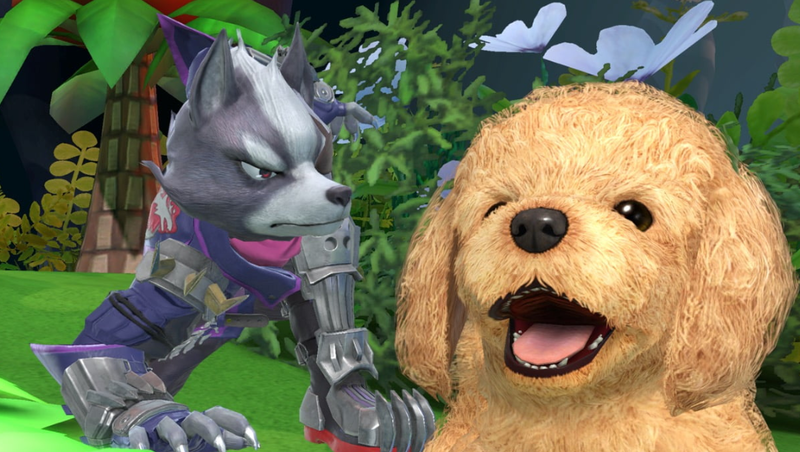 In this Super Smash Bros Ultimate Wolf Guide, we’ll be taking a look at the changes that have been made since Wolf’s last appearance in the series. We’ll also detail his Final Smash, and the Alternate Costumes you’ll be choosing from. 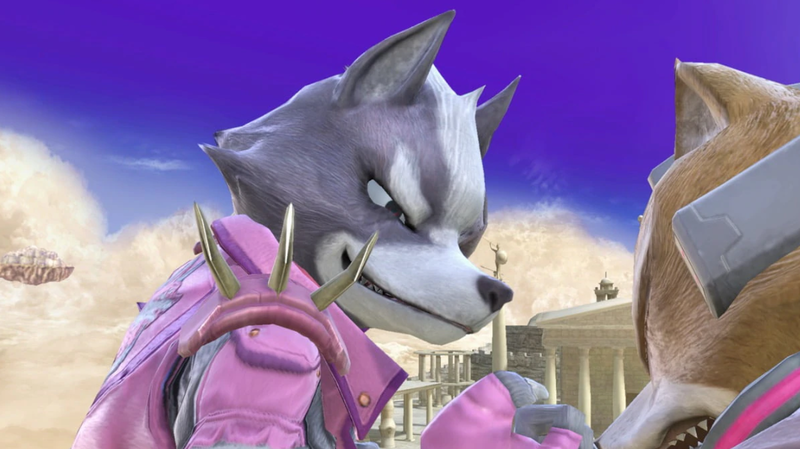 The evil counterpart of Star Fox is Wolf, and he features as a playable character in Super Smash Bros. Ultimate. In the table below, you can find a complete list of the moves that Wolf can use. Wolf has gone through a number of changes since Brawl. This includes tweaks to his animations, moveset and Final Smash. We’ve listed all of the changes we’ve noticed below. 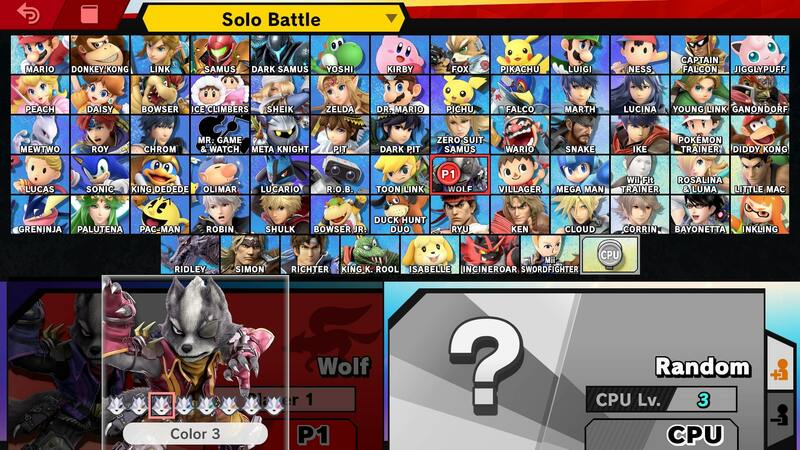 Several of Wolf’s animations have been altered including Crouch, Dash, jumpsquat, Up Smash, Back Thro, and Reflector. Wolf has a new design for Ultimate, closer to his appearance in Star Fox Zero. Hi gloves are now fingerless. Up Aerial does more damage. Back Throw does more damage. Players can choose between several versions of Wolf via his Alternate Costumes. They are simple color re-skins of his default design, in green, orange, blue, brown, black, and pink. You can see the pink color variant in the image embedded above. Wolf has a new Final Smash for Super Smash Bros Ultimate. It’s called Team Star Wolf, and sees the opponents taken down by Wolfens. It’s an awesome move, even more so if it is used against Fox as Wolf will say “got you now, Star Fox. That’s everything you need to know about Wolf in Super Smash Bros Ultimate. For more info on the game, head over to our Super Smash Bros Ultimate Guides Hub. There’s trailers, a full character roster, a look at the Ridley amiibo, and more.